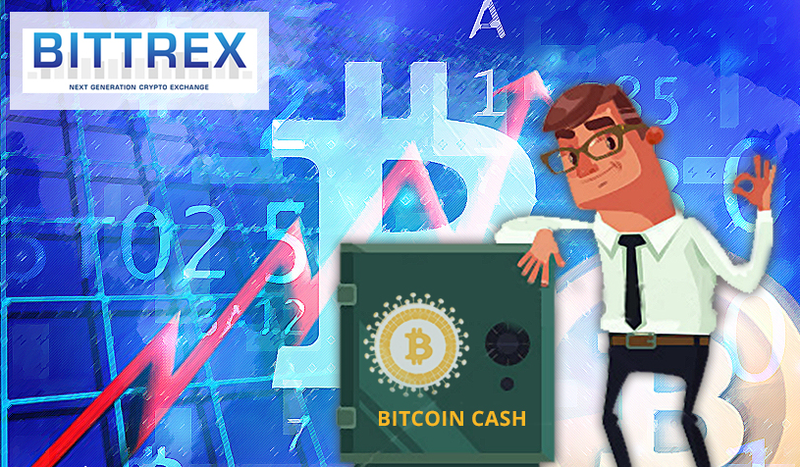 Home» Bitcoin Cash» How to buy Bitcoin Cash on Bittrex? In this post we will learn step by step how you can buy the cryptocurrency Bitcoin Cash from Bittrex. 1st August 2017 Bitcoin has split into two, giving rise to a new cryptocurrency called Bitcoin Cash, which has been transformed into a highly speculative financial instrument. Click on the BCC symbol and continue. 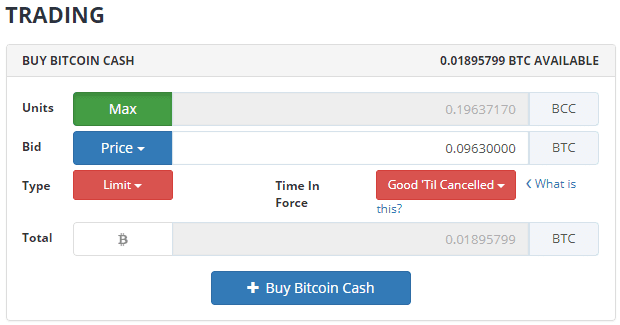 2- In this screen we will buy Bitcoin Cash, using our available balance of Bitcoins. We will convert BTC 0.01895 (about $ 79 at the current exchange rate) by 0.1963 BCC. 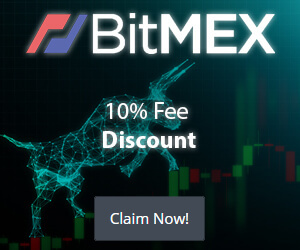 3- In this step bittrex shows the total you will receive, discounted the trading fees (commission). click on Confirm and you're done! From the Orders menu we can verify that the transaction has been completed and we have the Bitcoins Cash credited in our BCC Wallet. and don't Worry, be happy even when the bitcoin cach is volatile, you will figure (take profit )order . 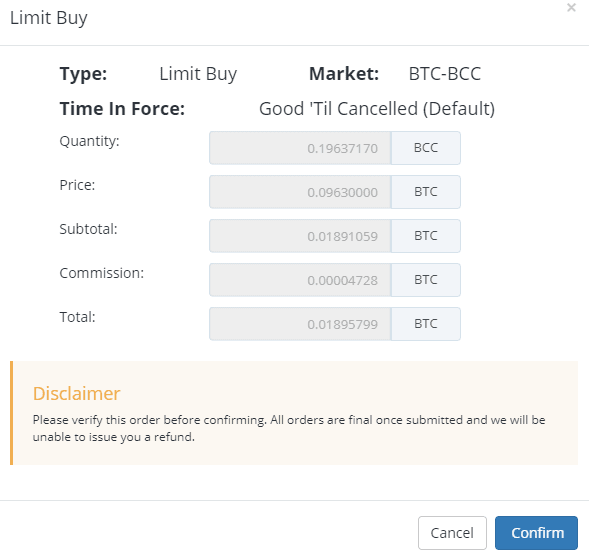 To do this we search for the BCC again, and go to the Sell Bitcoin Cash part, where you will configure that the total purchased (0.1963) will close to the value of 0.15, this is equivalent to just over 50% of the purchase price (0.0963) . Click on Sell Bitcoin Cash, and a window will open showing the trading comission (fees) . confirm and bom, the order is programmed. If you look at Orders, you can see the BCC sale is pending at 0.15.